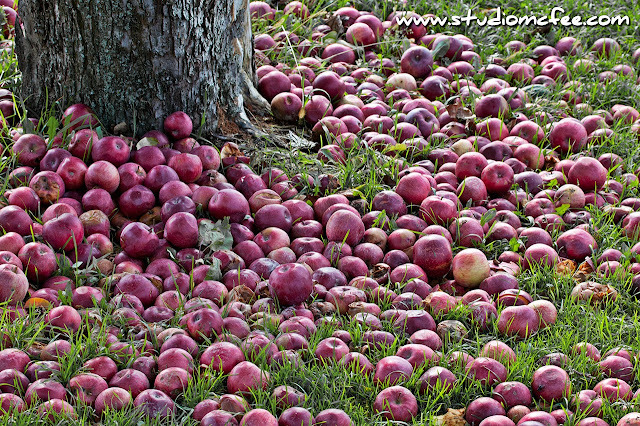 Studio McFee: What is it about Apples? What is it about Apples? What is it about apples? They're great no matter what you do with them: Apple cider, apple pies, apple cobblers, puddings and crisps, apple sauce, apple butter, and just plain apples. The list goes on. Apples grow throughout most of Southern Ontario. At one time, many farms had their own orchards. Typically there would be six to eight trees producing a selection of apple varieties. If I remember correctly, the orchard on our farm had Duchess apples, Alexander apples (huge apples - one was enough for a pie), and Northern Spies. There may have been other varieties as well. Unfortunately, most of the old orchards are gone or have reverted to the wild. 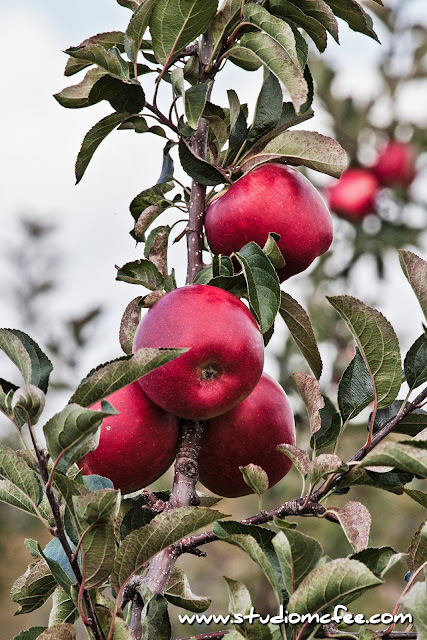 An orchard needs care, pruning and methods to control the bugs. As a result, most apples are now grown in bigger orchards. Many of these cater to family and school outings providing tours via wagons pulled by horses or tractors. There are often small cafés serving apple baked goods, coffee, cider and other related products. You can spend an entire afternoon at most apple orchards. Just don't forget to buy apples before you leave.